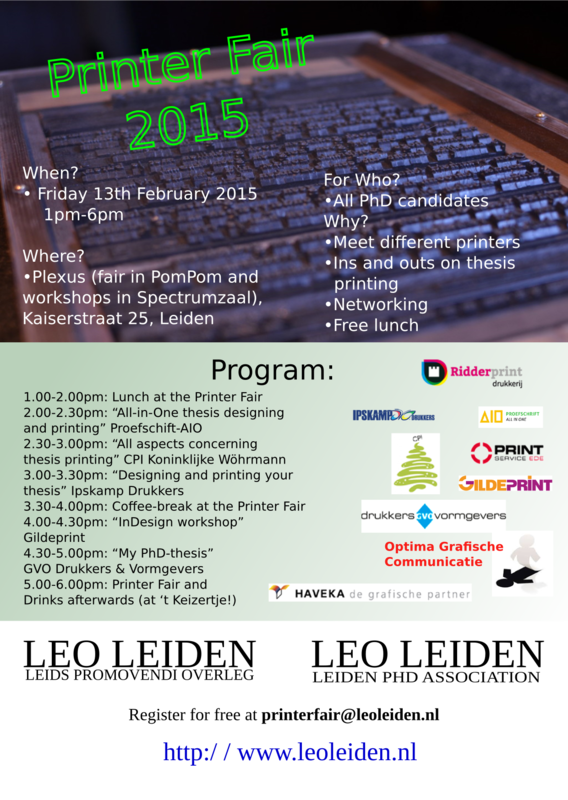 Every two years LEO organizes a Printer Fair where PhD candidates at any stage of their carreer can meet and talk to companies that are going to be in charge of printing their dissertations. This time the Fair is going to be bigger, with more printers and there are going to be some snacks and sandwiches for everyone. Keep tuned to check the full program once it is ready! Interested in joining? 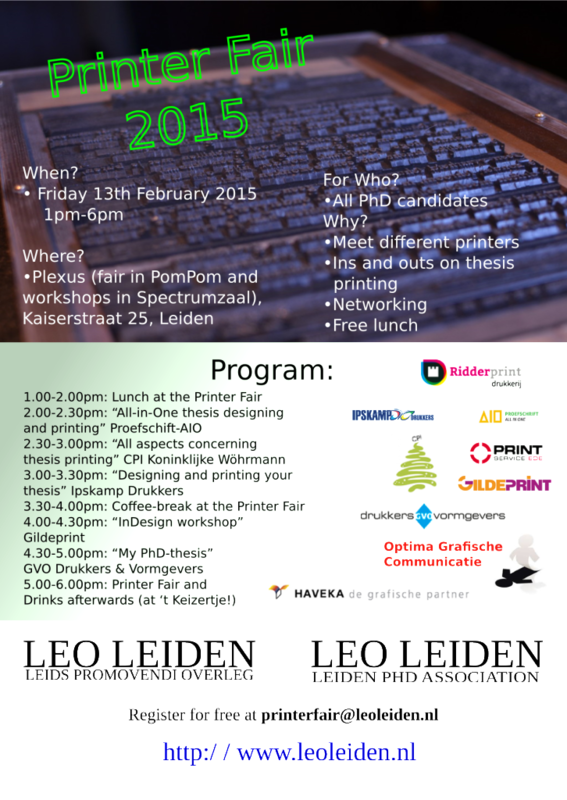 Send an e-mail to printerfair@leoleiden.nl. Not a LEO member yet? Just fill this short form.